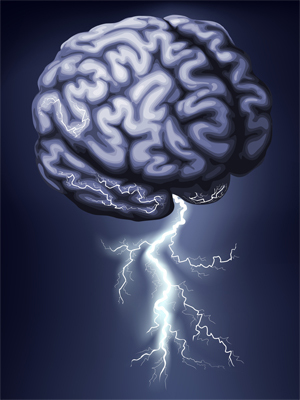 The study of neuroscience in business is an exciting, new and emerging field, and it is taking the C-suites by storm. At the forefront of this field is the distinguished neuroscience expert, Srinivasan Pillay, M.D., CEO of NeuroBusiness Group, who also serves as the Assistant Clinical Professor of Psychiatry at Harvard Medical School. Image courtesy Shutterstock, copyright Christos Georghiou. We came across his article in the Financial Times about the relevance of neuroscience to the business environment, and we were intrigued. Q: How can neuroscience-based training be helpful in increasing profitability, and developing human capital within an organization? It is very image driven, making it much easier for workers to remember concepts over time. It is a system of learning that can zoom in on competencies related to “soft variables” (e.g. empathy, trust) all the while using concrete and tangible concepts. It leverages what already exists in the brain and “brings out” competencies rather than creating them. It allows us to understand the unconscious and how this impacts behavior and profits. Q: Can HR professionals leverage neuroscience studies to help increase staff productivity? Increase loyalty? Increase leadership within an organization? A: Absolutely. Productivity increases when there is greater clarity, unity and agility. Neuroscience-based training allows organizations to embed these specific competencies into their organizations in a way that lasts. When it comes to increasing loyalty, neuroscience can be used to explain what engages the brain and what does not. It can help organizations understand why and how emotions are a vital part of the workplace, and how they play into loyalty. Leadership can also be enhanced using neuroscience. For example, NeuroBusiness Group has developed brain-based strategies for high stakes leadership that can be embedded within organizations. Neuroscience can decode the conscious and unconscious workings of a leader’s brain. Q: How are neuroscience-based training systems different from traditional training models? A: Most companies make investments into training for their staff that involve one to three days of inspiration and then staff return to business as usual – forgetting, when things are good. But when C-suites and HR professionals invest in neuroscience-based training, they invest in “built-to-last” strategies. The difference is neuroscience-based training allows companies to truly “embed” learnings over the long-term within an organization. As such, training can be directly linked to outcomes, both at a subjective personal level, and at a team level, so a company can objectively measure monetary payback from its training investment. Your Brain and Business: The Neuroscience of Great Leaders from Srini Pillay on Vimeo.